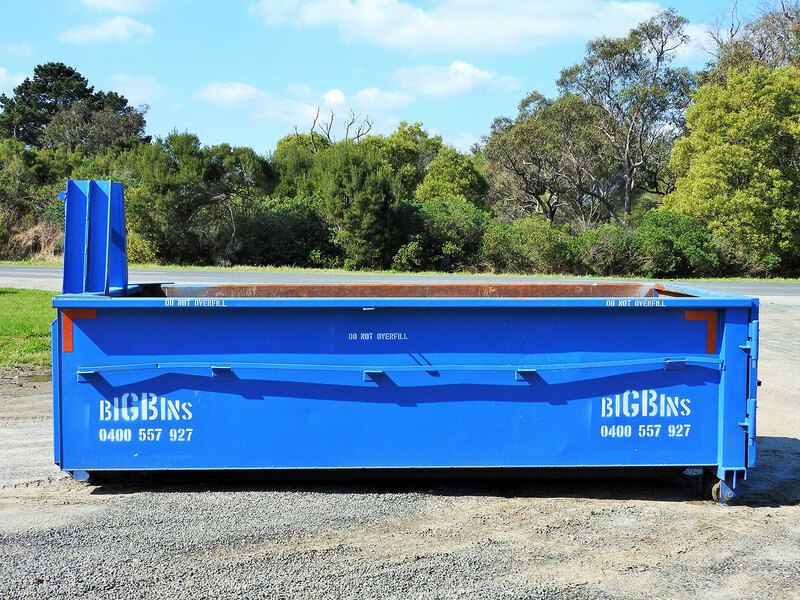 Big Bins has a large range of bins to suit building and construction sites as well as to suit commercial waste. We have our Skip Bins which are ideal for the smaller jobs and our walk in bins that are ideal for those bigger jobs. Packaging materials, cardboard, paper, timber, metal, plastic packaging etc. Our Walk in bin sizes start from 3 cubic metres to 18 cubic metres, these bins provide easy access from the back , as they open up, which makes it easier to put your rubbish into. If you are not sure what size you need, just ask Andrew. Andrew has been in the bin hiring business for over 10 years now and with over 10 years experience in the bin hire business, he is more than happy to help you work out what size bin you need to complete your clean-up or job and can also give you a Free no obligation quote.